Please note: Opinions expressed in commentary on KCAW are those of the author, and are not necessarily shared by the station’s board, staff, or volunteers. My name is Chip Treinen. I’m a Southeast Alaska sac roe seine permit holder and have been fishing herring here in Sitka as well as other parts of the state for over 25 years. While each of the different areas I’ve fished has unique characteristics, the stocks are similar. The only consistent aspect of the fishery I have found is the inconsistency. Every time I try to predict when, where or how the herring will turn up, I am most often confounded. Sitka Sound herring behavior is no different. ADF&G’s spawn maps from aerial surveys begun in 1964 show the incredible variation of annual spawning locations within the general area. We operate in a pretty risky environment when market issues, natural variation and competitive fishing are taken into account. As the herring return and the spring unfolds, this is usually an exciting time for us. However, this year is turning out to be much more subdued. 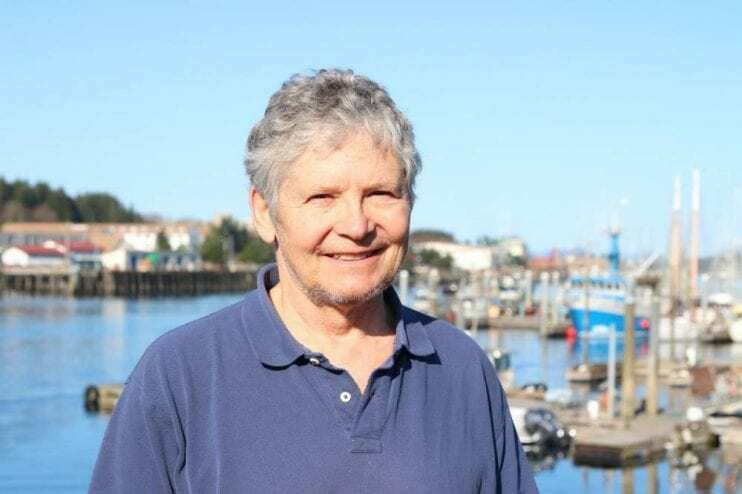 The fleet is facing a trifecta of issues that affect not only us as permit holders, but also the rest of the industry–crews, processors, tenders, spotter planes, cork skiffs and others. Present weak markets, small average fish size and local politics are all problematic. As the days pass, it appears evermore likely that we will not harvest any herring this year–let alone reach the preseason guideline harvest level. We have all made considerable investments in the fishery with the expectation of making a profit, but must face this year’s reality with hope for the future. Assuming favorable environmental conditions, the apparently strong three and four-year-old age classes can provide for future, more marketable harvests. These year classes should also provide for an abundant spawn that–if it takes place in convenient locations–for more-than-reasonable subsistence harvest opportunities this year and into the foreseeable future. We fishermen have as much or more incentive than anyone to maintain healthy and abundant herring stocks. While there is always uncertainty in fishery science, Sitka herring are managed and monitored by the department more intensively than any other herring stocks in or out of this state. The time-tested management plan is complex and difficult to understand completely, but most importantly, it uses the best available science and data collection methods to determine a reasonable and sustainable harvest level. No survey can count every fish, but the department uses three methods, hydro-acoustic, aerial and dive surveys to corroborate their best estimate of herring abundance. I sincerely believe that the Sitka herring stocks are managed in a way that will provide sustainably for all users as long as environmental conditions remain favorable. Thank you for the opportunity to comment on air here at KCAW.